This may come off as kind of strange, but when I was younger I always wanted glasses. While other kids were horrified to learn that they had to go to school bespectacled and four-eyed, I found glasses quite fascinating and rather stylish - the problem with the kids in my elementary school getting glasses wasn't that they had glasses, just that the ones they picked out weren't very cool. But from a young age I recognized the serious potential of a well-picked eyewear choice. Glasses may or may not increase your intelligence by at least 47% and they help your eyes see! What is cooler than getting to read and see the beauty of the world!? In all actuality, though, there were several times when I considered getting a fake pair of glasses just because I wanted to wear them so bad. Lucky for me, I was granted the gift of nearsightedness by the time I entered eleventh grade. I noticed my diminishing eyesight because in algebra I sat in the very back of the classroom and my teacher got annoyed very quickly with my constant requests for clarification: "Is that a 3 or a 6? Or is it a 5?" (Sorry, Mr. Lemei!) and shortly after that I was on my way to the eye doctor. Now I need a pair of specs whenever I go driving at night or am watching a movie. Unfortunately I have recently seemed to misplace my glasses (insert Velma joke here) and am in the market for a new pair of spectacular specs. But more fortunately, I've recently stumbled upon the greatness that is Warby Parker. Warby Parker is an eyewear company that is dedicated to making fun, smart-looking glasses (both prescription and sunglasses are available) for a reasonable price (most glasses are $95 including prescription lenses). These glasses remind me of 1960s authors living in Paris or New York - very erudite and classically chic. Recently the brand has released their new Winter Collection, as well as awesome collaborations with Leith Clark and Beck. The brand describes the new winter line as "rustic meets modern" and suggest that "they make good companions for rooting around a bookcase, dashing through the snow, getting up to indoor mischief..." and honestly, what sounds better than that? The best part is, with every pair of glasses you purchase from Warby Parker, another pair goes to someone in need who cannot afford their own. I was already sold with the great shapes and fun materials, but nothing feels better than knowing your purchase is contributing towards a great cause. 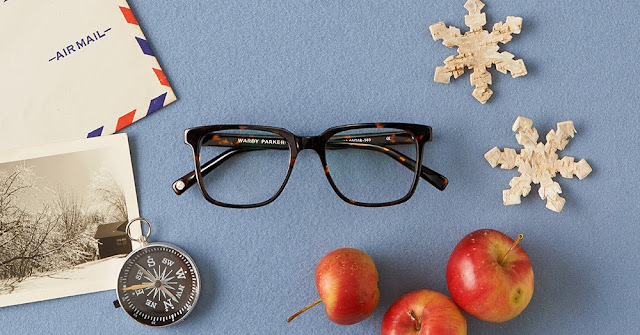 The whole winter collection is available here, and be sure to check out the rest of the fabulous spectacles Warby Parker has to offer! 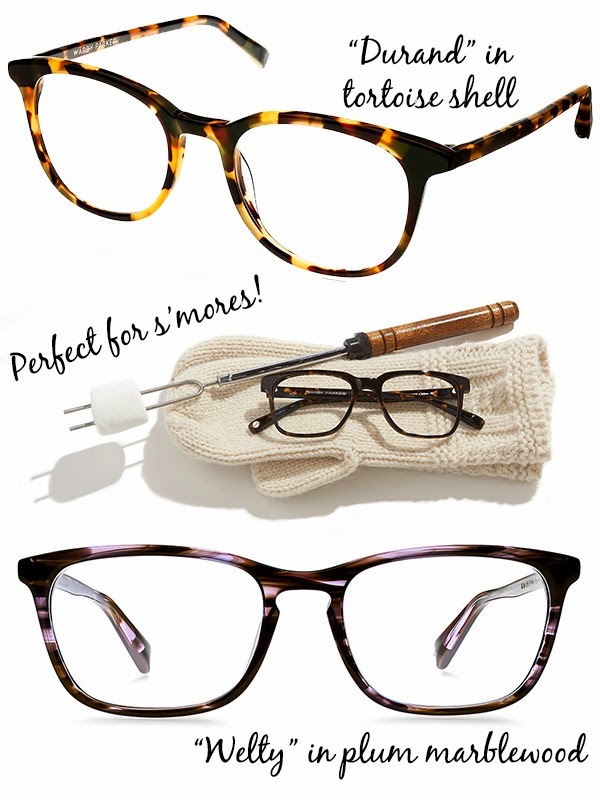 This post was made in collaboration with Warby Parker.